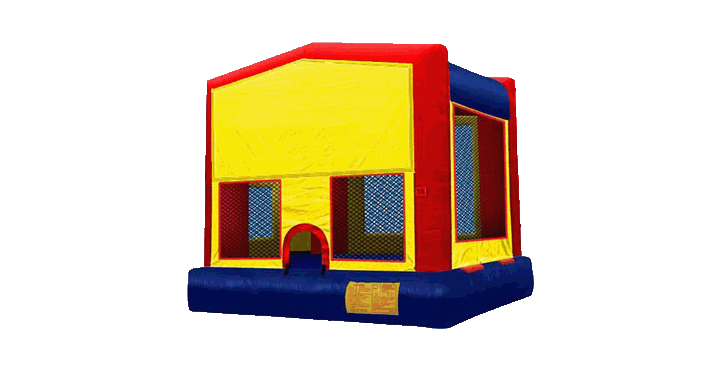 The module bounce house combo offers up to four different activities for endless hours of activity. Each bouncy castle has a large interior jumping area and a basketball hoop for group interaction, and high-visibility mesh allows spectators to keep an eye on participants. The theme of the Inflatable Combo Bounce House is also customizable to your preference just like any one of our module inflatable, be sure to pick a theme and stand out at your next party or event. The jumper comes with a climb to conquer with a fun and fast slide, entertainment for even the most active child! Each bouncy castle is manufactured with lite n strong™, fire resistant vinyl for safety, durability and portability for any indoor and outdoor party.